The publicity train is really rolling this weekend, and Bill Goldberg may as well be the engineer. Fans have been speculating about the return of Goldberg since the WWE 2K17 trailer hit, with the image of the former WWE star looking at a “Suplex City” sign. Now, both Goldberg and Brock have been having some fun at the press events for both WWE 2K17 and Summerslam. Goldberg calls out Brock. Brock talks about Goldberg going to Suplex City. Goldberg calls out Seth Rollins. Yeesh. Slow down! I’m trying to keep up. This all but confirms that Brock Lesnar/Bill Goldberg II is taking place at some point. I’d bet on it for Wrestlemania XXXIII. The only match that might be bigger than that would be Brock against the Rock. And I don’t doubt we’ll get that at some point as well. But will all this jaw-jacking going on, who’s set to fire the first shot? And where? Moving on to predictions, in the wake of Eva Marie’s suspension (more on those when I review Raw), I’m leaving out the women’s tag team match that was booked on Smackdown, because I assume it’s going to change. I assume they’ll either fill her spot with someone else, or make it to a traditional two-on-two match. American Alpha, The Usos & The Hype Bros vs. Fandango & Tyler Breeze, The Vaudevillians, & The Ascension. 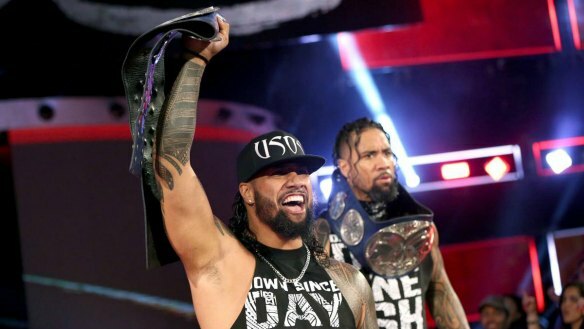 Apparently WWE wants to remind us that Smackdown has a tag team division, likely in preparation for the show getting its own set of tag belts. 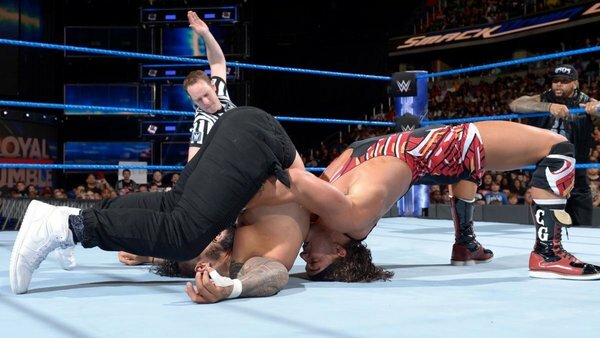 They had this exact same match on Smackdown this week, and the babyfaces won. I’ll give it to them again, for no other reason than American Alpha is on that team, and they’re being built up right now. As they should be. The Dudleys are breaking up. At lest that’s my assumption. 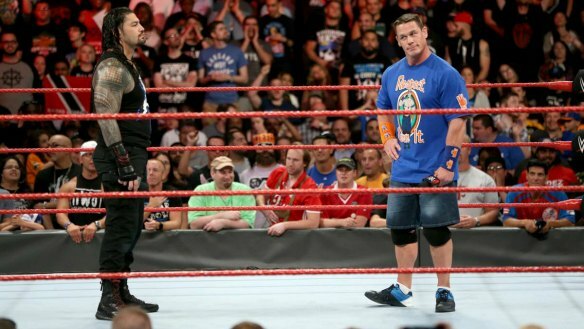 Bubba’s been giving D-Von frustrated stares after their losses on Raw these past few weeks. 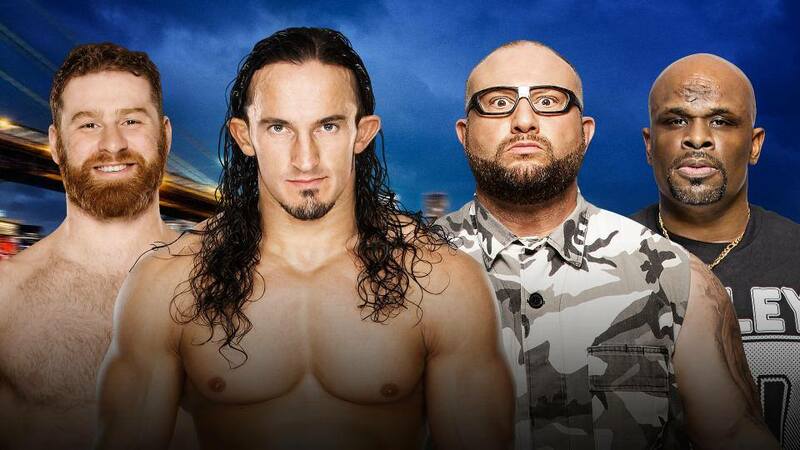 They haven’t been doing anything with the Dudleys these last few months, so it makes sense. This match keeps the angle going by having Zayn and Neville, another throw-together team, beat them. Simple as that. What we have here is an obvious attempt to create the kind of magic Chris Benoit and Booker T had when they did this in WCW. I don’t have high hopes, but I won’t put it past them either. My question is, what’s at stake here? What does the winner of this series get? 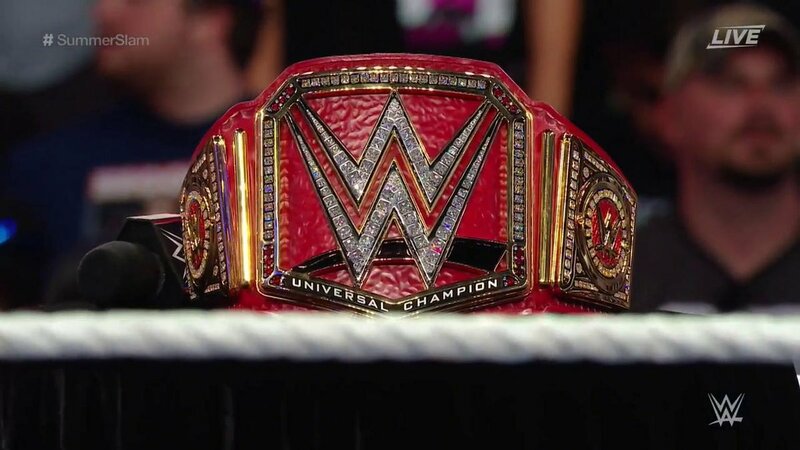 A shot at the Universal Title seems like a good answer. We’ve established on Raw these last few weeks that Cesaro has Sheamus’ number. I say we keep that trend alive here with a Cesaro win. Then, if I had the book, I’d have Sheamus find some way to injure Cesaro in the second match, allowing him to pick up a bunch of consecutive victories. Thus, our Swiss Superman can fight from underneath and hopefully be victorious in the end. If this is done well, it could really benefit two guys who could really use some extra shine right now. Best of luck, gentlemen. 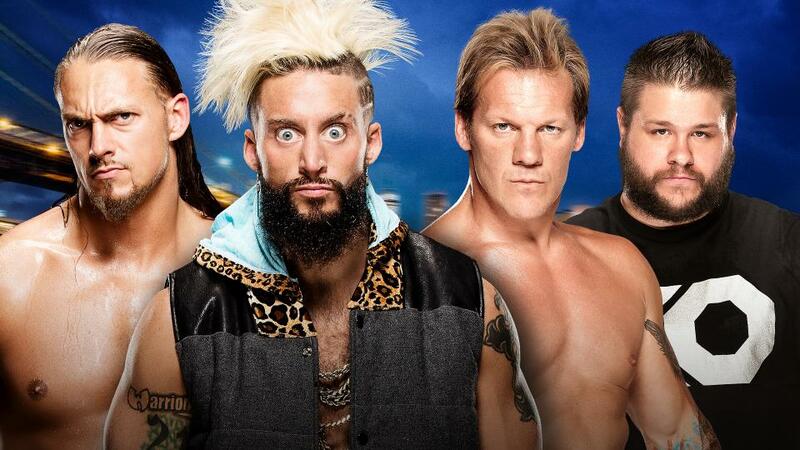 Enzo & Cass vs. Chris Jericho & Kevin Owens. This match really needs to go on first. 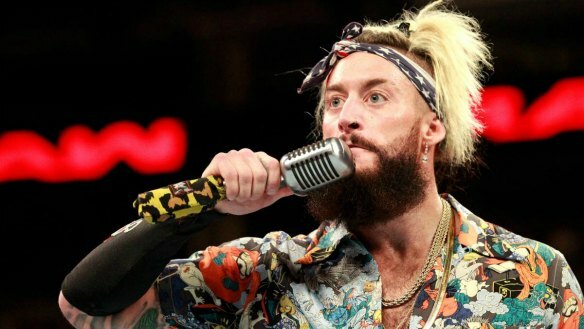 Enzo & Cass in front of a Brooklyn crowd? That‘s the kind of pop you open Summerslam with. I don’t see why the hometown boys shouldn’t win here. As great as Jericho and Owens are together, a win for them would hurt Enzo & Cass more than anything else. Plus, my guess is they were just thrown together to give Enzo & Cass a pair of great heels to go against. Simply put: I don’t think Apollo Crews deserves the Intercontinental Title yet. Yes, he’s incredibly explosive and dynamic in the ring, and you can argue the IC Title doesn’t mean much nowadays anyway. But as a character, I don’t think he’s ready. Plus, while I may be in the minority here, I like the Intercontinental Title on Miz. Maryse has breathed a whole new life into his career. He’s worthy of the title. I’d like to see him weasel his way out of at least one more title defense. Crews can afford to chase for another month. It’s time. The New Day won the belts at Summerslam last year, now they drop them at Summerslam this year. It’s a nice circle. Plus, Gallows and Anderson have been ready for a couple of months now. 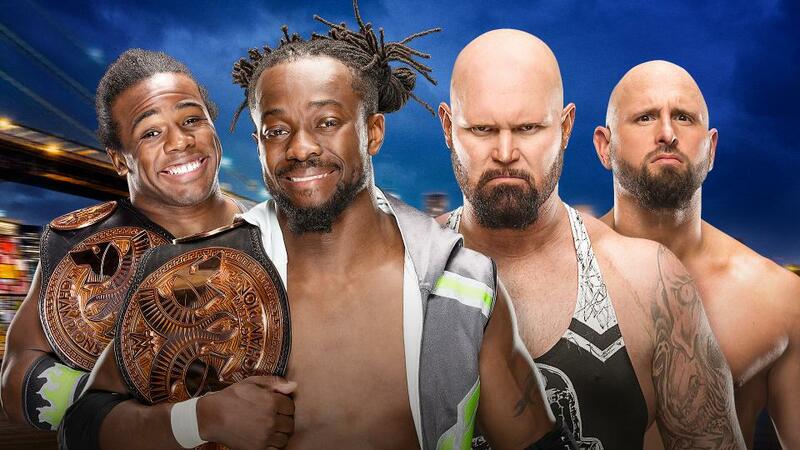 I can only assume Big E. will be back for this match. You never know just how much a guy brings to an act until he’s not there. His energy is sorely missed, as are his dance moves. But why even do that match as the Raw main event? Because they didn’t have any better ideas? Maybe. But from a booking standpoint, what does pinning Rusev do? It keeps Roman looking strong. We all know how much they love that. So even if Rusev somehow gets out with the title via a disqualification, as I think he will, he still doesn’t pin Roman. 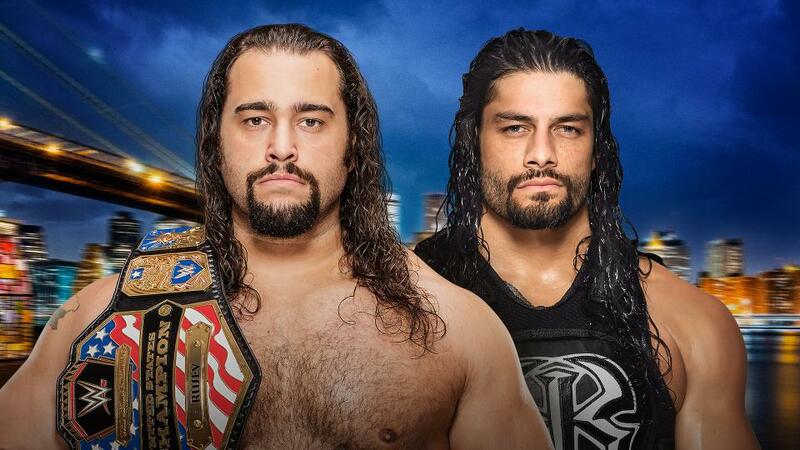 That way Roman can move on to bigger things without losing any face, and Rusev gets a little but of a rub from having worked a pay per view match with Roman. Everybody wins…kinda. I told somebody on Twitter recently that I don’t see this match topping what Sasha and Charlotte did on Raw last month. I can’t imagine they’ll have as much time on this show. Plus, they really had lightning in a bottle that night, and we had the thrill of Sasha winning the belt for the first time. In a way, this match feels like an afterthought. But it never pays to underestimate any of the “Four Horsewomen” of NXT (the others being Becky Lynch and Bayley). So I’ll be interested to see what they pull out of the hat. Either way, I see Sasha continuing on as champ, and Charlotte moving on to other things. I’m surprised a one-on-one rematch took this long. 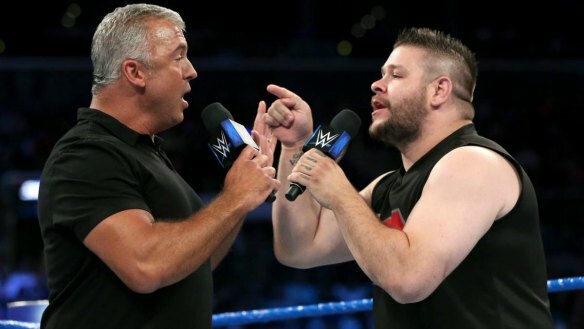 These two wrestled at Money in the Bank, so it’s been about two months. I’m amazed WWE waited this long to do it. Not a bad thing, just a surprise. This one’s a toss-up, really. It’s more about the performance than who wins. 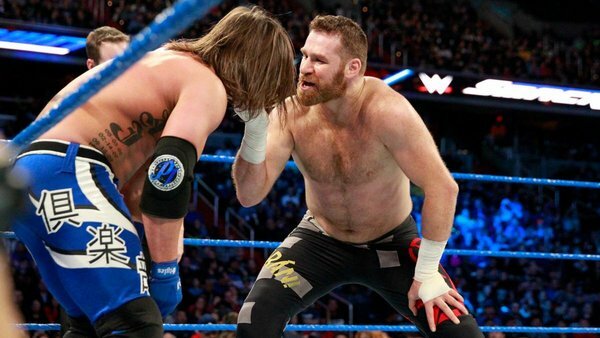 Cena has very little to gain by beating Styles at this point. But I can see WWE wanting him to get a win at one of their biggest shows of the year. So how much does Styles have to lose? Well, he lost to Chris Jericho at Wrestlemania, and he lost both of his matches to Roman Reigns in the spring. And yet, here he is. Whether they go back for a third match or not, both men are winners here. I smell a heel turn. So you’re Dolph Ziggler. You finally get a shot at the WWE Title after years of toiling in the midcard, and you lose. You blew it. Dean Ambrose was right. You’re not as good as you say you are. So what do you do as your reality comes crashing down around you? You snap. You throw the rules out the window and you attack the champion with no mercy (which happens to be the name of an upcoming pay per view). What was a feud about professional pride has become very, very personal. WWE is in need of strong heels right now. And Ziggler’s been a babyface for a long time now. Just saying. Well that didn’t take long, did it? Finn Balor has been on the main roster about a month, and he’s already in the semi-main event of Summerslam. In a heavyweight title match, no less. 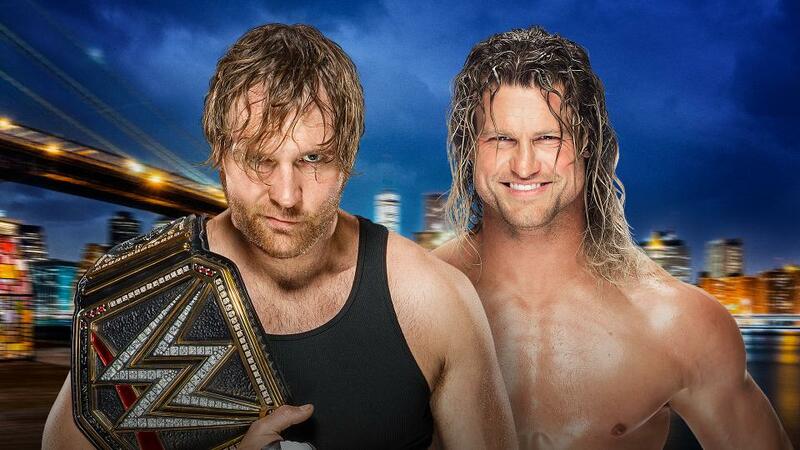 There’s a good chance these guys steal the show, much like Rollins did with John Cena last year. As for who wins, I say we go for it. 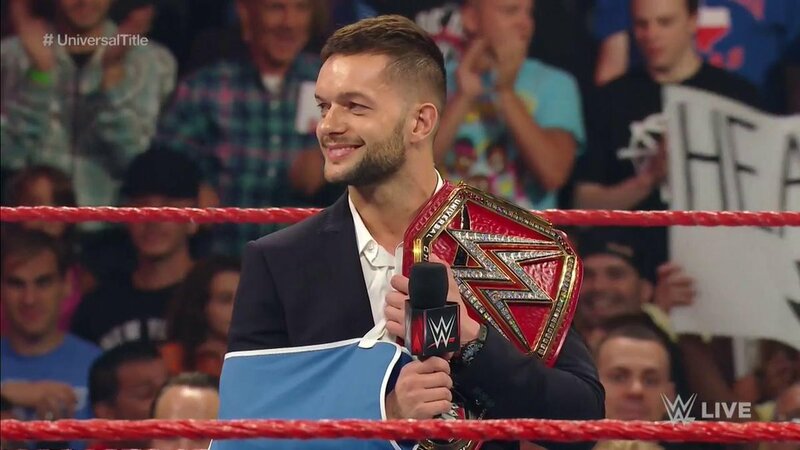 Put the belt on Balor. With the roster now split, this company needs more stars. Finn Balor hasn’t been a product of start and stop pushes, or 50/50 booking, or anything that’s plagued guys like Ziggler, Bray Wyatt, Sheamus, the Miz, Rusev, and so many others. He’s a fresh face. 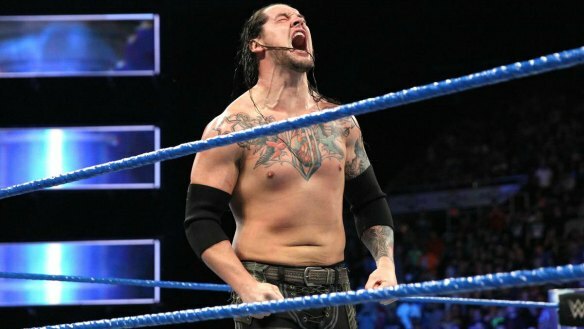 A fresh face who can wrestle like the dickens, and has this “Demon King” persona that’s sports entertainment personified. So I say let’s go for it. Place him in a role of significance from the start, so people know he’s a big deal. 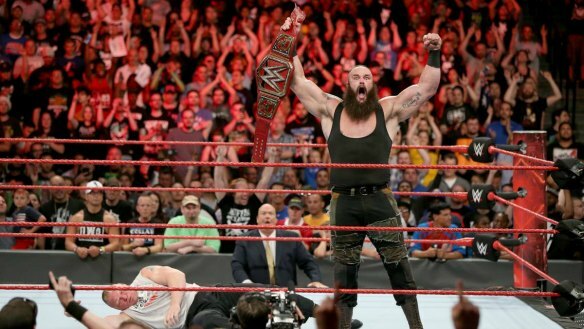 Raw has needed a shake-up for a long time. And this could be the start of a big shake-up. Let’s do this. Of course this is the main event. Why wouldn’t it be? 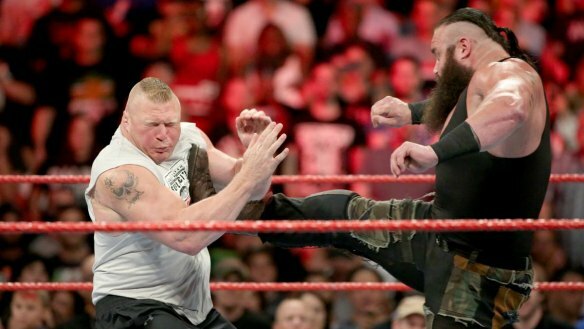 Brock Lesnar is one of two genuine megastars they have on that roster, and he only wrestles a few times a year. Plus, Brock is in the news right now for the doping scandal. I’m really intrigued as to how the New York crowd will react to him. The build for this match has been underwhelming. But hopefully the end product will be worth it. Brock said it himself: “Randy Orton isn’t the guy to beat Brock Lesnar.” Orton is a star, and this is very much a marquee match. But Brock hasn’t been pinned or made to submit since Wrestlemania XXIX. (Last year’s Summerslam finish doesn’t count. He passed out.) 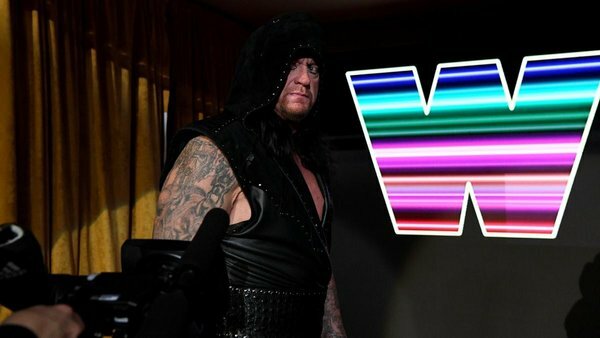 The man who broke The Undertaker’s streak has a little streak of his own going. Randy Orton isn’t ending that streak. On the subject of streaks, does Bill Goldberg have any big plans next spring? Just curious. This entry was posted in Wrestling and tagged AJ Styles, American Alpha, Apollo Crews, Barclay Center, Big Cass, Big E., Bill Goldberg, Bill Goldberg Wrestlemania, Brock Lesnar, Brock Lesnar UFC, Brock Lesnar vs. Bill Goldberg, Brooklyn, Bubba Ray Dudley, Cesaro, Charlotte Flair, Chris Jericho, D-Von Dudley, Dean Ambrose, Demon King, Dolph Ziggler, Enzo & Cass, Enzo Amore, Fandango, Finn Balor, John Cena, John Cena vs. AJ Styles, Karl Anderson, Kevin Owens, Kofi Kingston, Luke Gallows, Neville, pro wrestling, professional wrestling, Roman Reigns, Rusev, Sami Zayn, Sasha Banks, Seth Rollins, Sheamus, Suplex City, The Ascension, The Dudley Boyz, The Hype Bros, The Miz, The New Day, The Usos, The Vaudevillains, Tyler Breeze, WWE, WWE Summerslam, WWE Summerslam 2016, Xavier Woods on 08/20/2016 by primaryignition.